Please do not press the back button. The Ultimate Milwaukee Fan Pack! 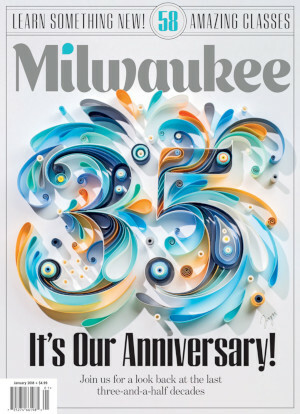 Subscribe to Milwaukee Magazine for a full year, 12 issues, for just $19 and get a FREE Summerfest ticket and a FREE beer from MKE Brewing Co. Just fill out the form below to order and we'll mail you the rest! All fields marked with are required unless stated otherwise. * Offer expires 6/22/18. Offer eligible in U.S. and Canada only. May take up to 8 weeks to receive your first issue. 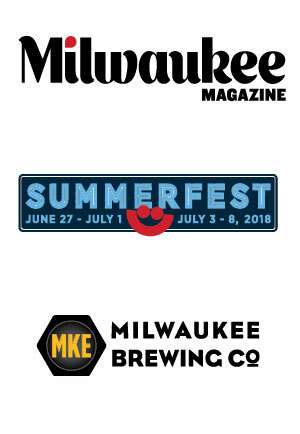 Summerfest general admission ticket and beer token will be mailed to the name and address listed on subscription within two weeks of receiving your order. Ticket is valid for one (1) general admission any day and time during operating hours at Summerfest 2018. Ticket is not valid for admission to American Family Insurance Amphitheater shows. Beer tokens are to be redeemed at the Milwaukee Ale House for any Milwaukee Brewing Company beer valued at $5 or $6. DON'T MISS AN ISSUE SUBSCRIBE TODAY!